Taking a page from GMC’s Denali brand, Avenir looks to capture a similar sort of success when it debuts as a range-topping trim on the 2018 Buick Enclave. But, the Enclave certainly won’t be the last. Motor Trend reports Buick will continue to introduce Avenir-branded vehicles over the next 18 months to two years. It sounds as if each Buick will eventually adopt an Avenir trim. As predicted, the Avenir sub-brand was chosen to debut with the 2018 Enclave, since 90 percent of Enclave buyers choose the top two trim levels. The Enclave Avenir bundles extra luxurious features and special design cues into a one-stop shop package. Though, Buick didn’t benchmark a particular vehicle when developing the Enclave Avenir. 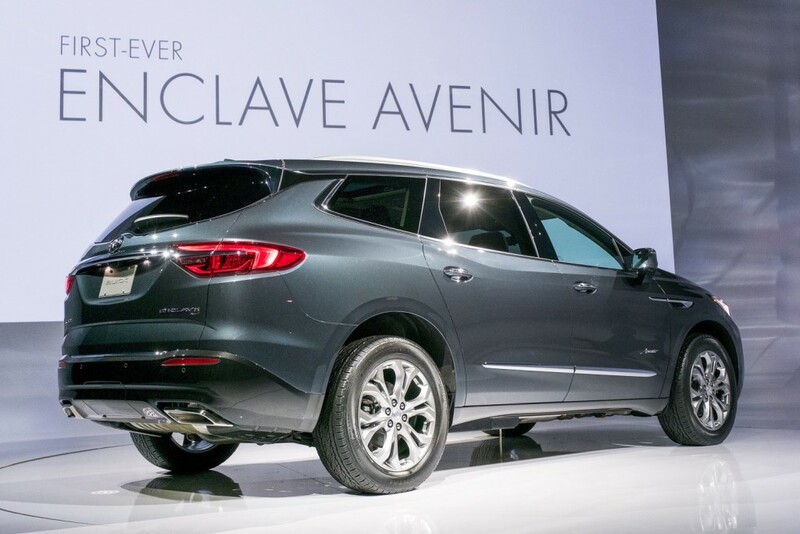 The brand expects loyal buyers and conquest sales from the Enclave’s key competitors to make for strong sales of the 2018 Enclave overall, not just for the Avenir. Pricing for the Enclave and Enclave Avenir will be revealed closer to the CUV’s on-sale date, which is pegged for this coming fall. Well we all know there’s going to be a LaCrosse Avenir so…..
It’s interesting that they chose to call the trim level Avenir when the details are pulled from the Avista concept instead. No matter that, it will still be a profit hit. The only thing I don’t like about it is the lack of interior color options. 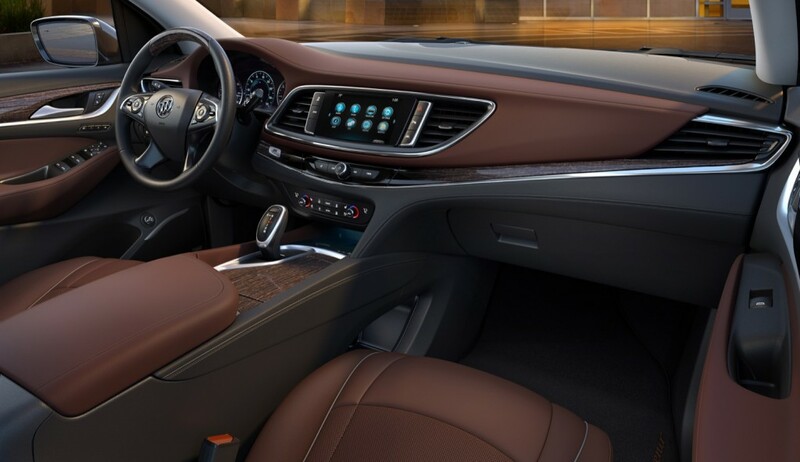 Looking at Buick’s website, it appears that the only option for interior colors on Avenir is chestnut. For such a high end model, you would think they would offer a few more color options. Soooo, can we get a Pontiac line under chevy? Right…. a Chevy Malibu Pontiac? I have said for a while that a special Firebird or Trans Am varient should be sold next to Camaro. The Firebird could be an answer to the Hellcat success over at Dodge and sell for a 5,000 premium. The current Camaro has had difficulties…weaker sales than Mustang meaning GM needs to gin up some excitement. I would have thought they would raid the GM name archive and added Electra to everything plush… I suppose AVENIR sounds and reminds us of Aviation and the front grill direction of Buick is similar to a propeller. Its going to be a home run for Buick. The changes are terrific. I agree with David. It needs to have at least three color options for the interior. I am so impressed with the 2018 Enclave! It looks fantastic. Agree with everyone that the Avenir model should have more interior color choices. That small issue aside, this new Enclave is going to sell like hotcakes. It looks better (and more tasteful IMHO) than the Cadillac SUV’s /crossovers. I think it’s going to bring a lot of new customers to the Buick brand. The Buick design team deserves MAJOR credit. With the 2018 Regal and Enclave redesigns, they have hit it out of the ballpark. They have developed an exciting, unique, modern take on American style. Yes! More interior color choices please! I wear suits and sport coats in black, grey, navy blue–not a great match with chestnut. Nothing wrong with an all-black or all-grey interior. Agree that the Avenir trim will be very popular; no struggle to select all options, because they are already there. Side note: Volkswagen has done this for a few years with their R models. Please offer at least one more interior color and hopefully two. The new Enclave is a beautiful car and Buick is on a roll.